When Taiwan’s Asus unveiled its ZenFone 2 flagship smartphone earlier this year, the device attracted attention for its generous amount of RAM (4GB) and competitive price ($299 unsubsidized/unlocked). But Asus didn’t decide to include 4GB of RAM in the phone until late in the development process, according to co-founder and chairman Jonney Shih. Ask Shih what really stood out to him about the ZenFone 2’s development and he’ll describe late nights struggling to identify the device’s optimal “architecture” (internal components and component layout). This is a bigger problem than it might seem. “If you don’t choose the right architecture for a product then you waste a lot of effort and still cannot really stand out [with your product],” Shih explains. As an example, Shih mentions the multi-core processors that have become ubiquitous in smartphones. “A lot of people have the misunderstanding that more cores is better in a smartphone processor, but the processor core architecture is actually more important [to the phone’s performance],” says Shih, who has a degree in electrical engineering from National Taiwan University. Asus sells its gadgets at affordable prices, partly because Shih thinks it’s the right thing to do and partly as a way to compete with larger rivals such as Huawei and Samsung. So when staffers began work on the ZenFone 2 they searched for “the best architecture that would enable the highest luxury at the lowest price,” says Shih. Unfortunately, each design had a flaw. Asus had decided Intel’s Z3580 Atom processor could “drive the highest performance, even compared to top-end processors,” according to Shih, and wanted to use it in the ZenFone 2. However, the Intel chip takes up more space inside a phone than an integrated system-on-a-chip (SoC) from a competitor like Qualcomm would. That meant less room for other components, such as the battery. A small battery, in turn, would impair the phone’s battery life. The answer came after midnight and from an unlikely source. Determined to settle the phone’s architecture, Shih had started gathering all of the company’s key engineers and product managers in a single room on Asus’ Taipei campus and letting the meetings stretch past midnight. During the previous night’s meeting, the group had discussed the lack of space inside the phone and determined that some components would have to be stacked in the middle of the device. The dilemma was how to do that since smartphone components are typically placed side-by-side horizontally across a phone’s back. Asus also wanted to avoid using many layers of printed circuit boards inside the phone because PCBs are expensive. On this particular night, the meeting ran late again. “We had already had tons of meetings and everyone was very frustrated,” says Shih. 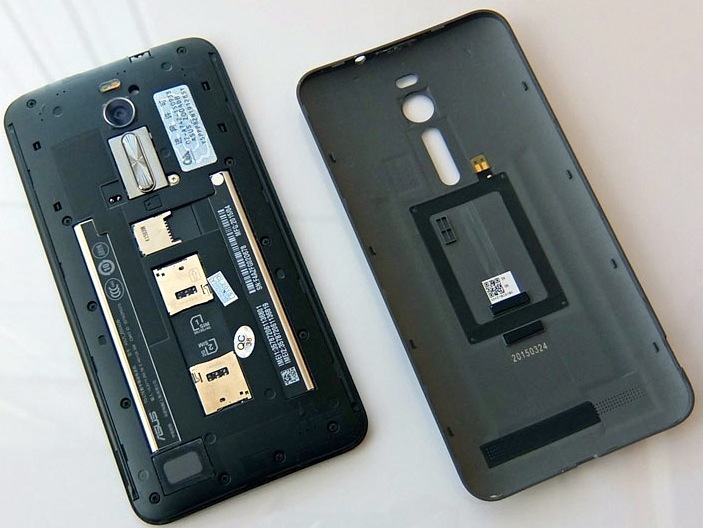 It was around 2 a.m. when someone suggested a new idea: to place the phone’s dual-SIM card and micro SD slots on a narrow, plastic “bridge” that would lie on top of the other components (including the battery) and stretch from the phone’s bottom edge to its top. The bridge would look like a spine running up the center of the gadget and be concealed by the phone’s plastic back. Such a design offered multiple benefits. It would help keep the phone relatively slim and reduce its manufacturing/materials cost. “The dual SIM and micro SD cards are quite thick, so they need a lot of space,” Shih explains. “If you place them in the middle of the phone then the sides of the phone can be tapered [and thus thinner].” The tapered shape would also fit better in users’ hands and be more visually appealing than a thicker phone. And since the setup wouldn’t require a lot of PCBs, it was considered economical. The story of Sony’s Xperia Z illustrates Sony’s smartphone design process. The Xperia Z was a sleek Android smartphone with a five-inch, high-definition touchscreen. It was Sony’s contender in the 2013 flagship smartphone market dominated by Apple’s iPhone 5 and Samsung’s Galaxy S4. A confluence of factors produced the Xperia Z. Sony research had found that consumers, stuck in a stagnant economy, wished their gadgets would last longer. Sony designers were also influenced by the fact that people cherish their possessions, including their smartphones, but can also find gadgets annoying—forming a barrier between them and content they want to read, watch, or otherwise experience. Sony designers were further motivated by keywords including ‘quality,’ meaning good craftsmanship, and ‘efficient’ as in efficient use of space and materials. These ideas swirled inside the head of one Sony designer and emerged as a concept that resembled a plate of glass with defined edges. It was a phone that would have top-of-the-line hardware stylish enough to covet, but be so minimalist in design it would seemingly disappear when activated, functioning as a portal into its user’s mobile content. The plate concept was simple but felt fresh and versatile and addressed the myriad ideas the Sony designers had been mulling. With management’s support, Sony designers and engineers set to work refining the plate concept and analyzing which technologies would best support it.